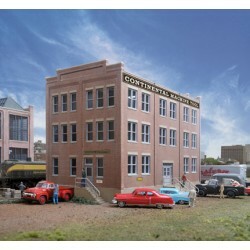 Kit - 10-1/8 x 5-3/4 x 6-3/16"
Whether used for a large industrial complex or near a rail terminal the Walthers Cornerstone HO Scale Engineering Office is an ideal addition to trackside scenes from the early 1900s into the 1970s and beyond. While the hard and heavy work goes on in the shop or factory buildings next door, none of it would be possible without the folks in the office. Working behind the scenes, the clerks, secretaries, stenographers, typists and executives order the raw materials, keep track of work orders, balance the books and plan future equipment needs to keep things running smoothly. Typically facing a busy street, these handsome buildings projected an image of quiet power. 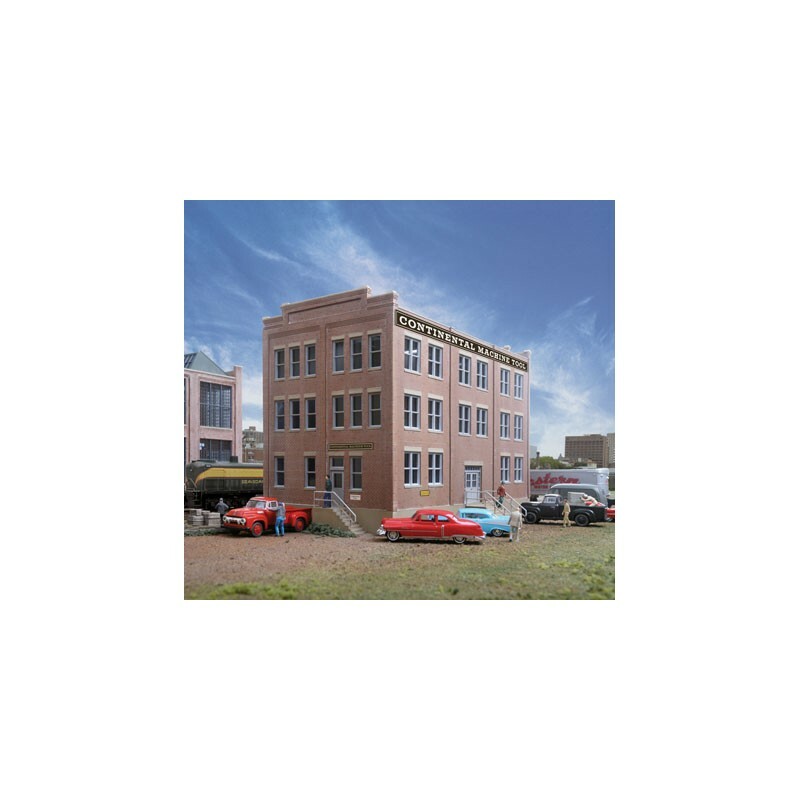 The finished Engineering Office is a perfect headquarters office for any Cornerstone HO Scale industry.